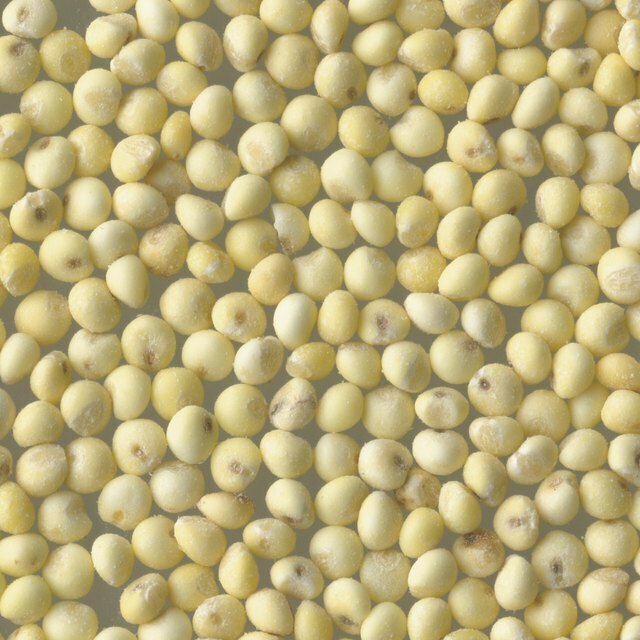 2 What Is Amaranth Flour? Teff is a grass indigenous to Ethiopia, and its seed can be cooked like a grain or milled to make flour. Gluten-free, teff can be used as an alternative to the wheat flour used in baked goods. It comes in a variety of colors, including ivory, tan and dark reddish brown. 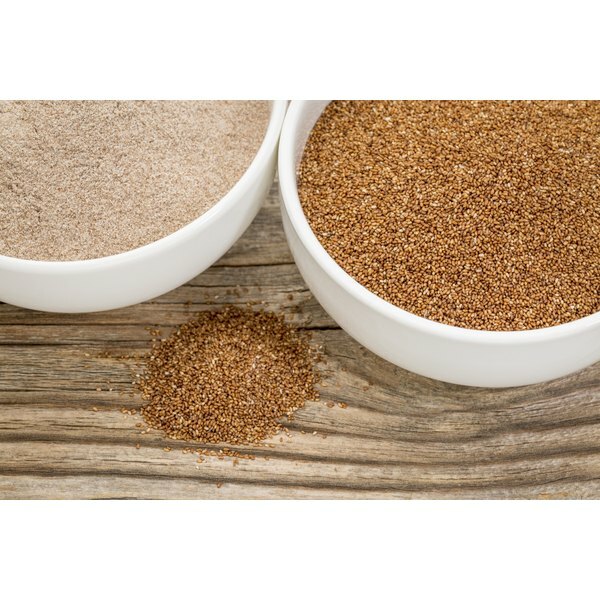 Teff contains significant nutrition and makes a positive addition to any diet. Teff grain is tiny. In fact, its name means "lost," meaning if you drop it on the ground, it will be lost forever. Milling it at home is nearly impossible, so it is best to purchase it already ground. It has a mild flavor, with a molasses-like sweetness, that can enhance the texture and nutritional quality of baked goods. Teff is a grass, not a grain, and therefore contains no gluten. Teff provides nine times more iron than wheat and five times more calcium and potassium than cereal grains. A ¼-cup serving of the flour contains 113 calories and only 1 g fat. Teff flour provides 4 g fiber per ¼ cup and 5 percent of the recommended dietary allowance for calcium and 13 percent for iron. Adding too much teff flour to baked goods can make them gritty and dry. When baking gluten-free, use teff flour as part of a gluten-free baking mix. Mix 5 cups of sweet white sorghum flour with 2 cups teff flour, 2 cups of potato starch and 1 cup tapioca flour. Use this baking mix as an alternative to wheat flour in breads, muffins and rolls. Teff flour is used widely in Ethiopia and is used to feed cattle and cook the grain into a porridge. It is the primary ingredient in the flat bread known as injera which accompanies most Ethiopian meals. Diners use the spongy crepe to scoop up their meals. Is Corn Flour Considered Whole Grain?